In order to meet that demand and also pursue greater market share, Saudi Arabia has had to draw on its oil sitting in storage. That led the sharp monthly gains in inventories to flip into a deficit late last year. From October 2015 to May 2016, Saudi crude inventories dropped 12 percent to 289 million barrels, according to The Wall Street Journal, the longest period of decline in 15 years. 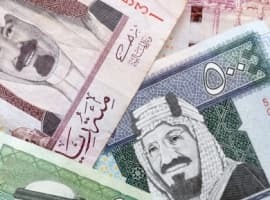 The Wall Street Journal says that Saudi Arabia is reluctant to simply ramp up production further in order to plug the deficit for fear of spooking the markets. 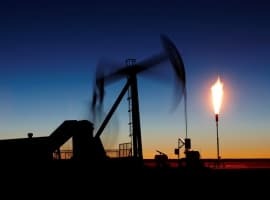 An increase in output beyond 10.5 million barrels per day – a record set in June 2015 – could spark a sell off if oil traders interpreted the move as an attempt to flood the market. Moreover, although the country says it has a production capacity of 12.5 million barrels per day, it also values holding onto spare capacity in the case of a supply disruption. That means that it is already near its practical limit in terms of how far it is willing to ratchet up production. Related: Did Oil Kill The Dinosaurs? An even less desirable option would be to simply reduce oil exports. Maintaining market share is one of the top priorities for the Saudi government, all the more so now that Iran has returned to the international market following the removal of sanctions earlier this year. That leaves Saudi Arabia with the only option of using up some of its oil stockpiles. A reduction of Saudi crude inventories is one piece of bullish news in what seems to have been an ocean of negative sentiment recently. 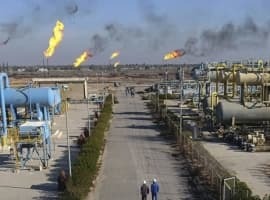 Oil prices have retreated from $50 per barrel since June as fears have grown over tremendously high levels of refined products sitting in storage. And while oil bulls can find some solace in declining Saudi inventories, at the same time the drawdowns may only be seasonal. As the summer months come to an end, domestic demand will likely fall back again, easing pressure on its strategic stockpiles. U.S. Gasoline stocks spiked to a record in February of this year, crushing crude oil prices. Inventories began to fall but the drawdowns slowed in March and have stagnated since. For the week ending on July 8, gasoline stocks even rose by 1.2 million barrels to 240.1 million barrels, only to rise again this week in the latest release by 0.9 million barrels. And just as Saudi crude demand could wane as summer moves into autumn, so too could demand cool in the United States. Gasoline demand could fall because people will be driving less, but also because refineries often take the opportunity at the end of summer to conduct maintenance and to prepare for a switchover to winter fuel blends. With some refineries temporarily idled, crude demand could fall as refiners purchase less oil. The timing, in other words, is not favorable for oil prices. “Saudi Arabia is moving out of its peak seasonal demand for crude oil right when global refining margins are under strong pressure, and that is not a good combination,” Olivier Jakob of Petromatrix told CNBC.